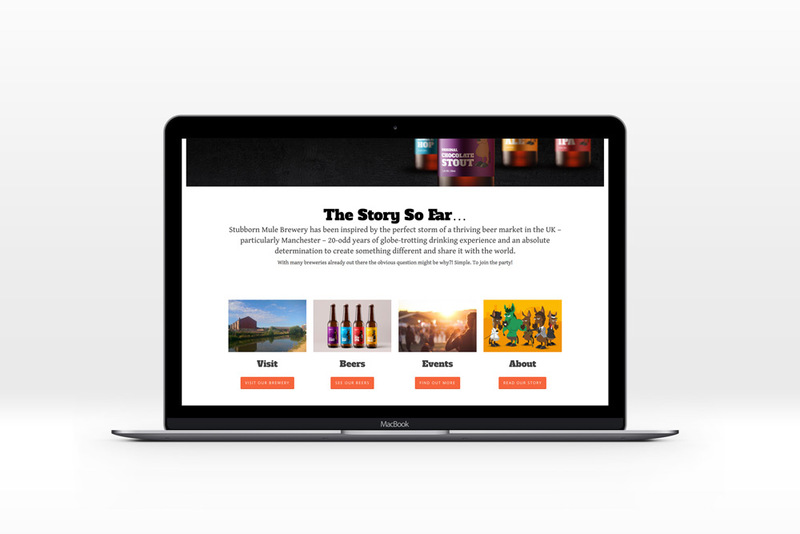 Creating a brewery website design is a dream job for web designers. More so when the brewery than asks you to help create the beer labels. Dream job coming right up. The name of the brewery is Stubborn Mule. Ed, the owner, had created 5 beers in his microbrewery and wanted to market them in a fun, lighthearted, character-led manner. In such a competitive market, making yourself stand out is paramount. We set Ste straight to work on some initial illustrations of his ‘Stubborn Mules’. 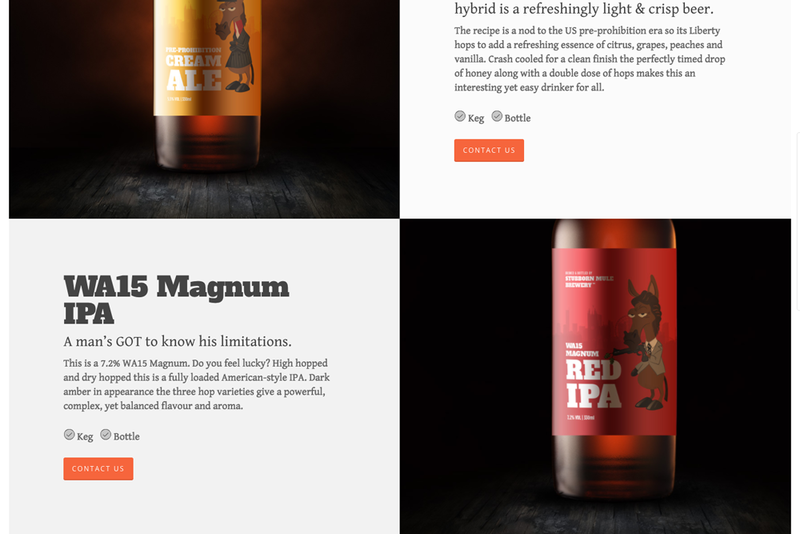 With 5 beers to market, we needed 5 characters to grace the beer labels, website and marketing material. Ste came up with a superb base character that could be dressed in different outfits depending on the type of beer required. As you read this Ste has to create a German Mule for a new beer so we’re expecting the full ‘Klopp’ treatment. 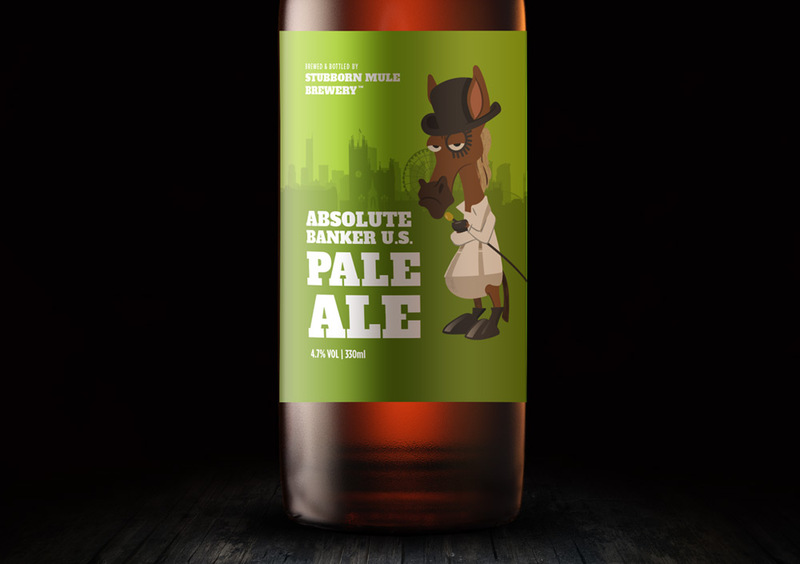 A strong, bright, eye-catching colour palette, coupled with a strong Slab font enable the character to stand out, and claim his beer for himself. 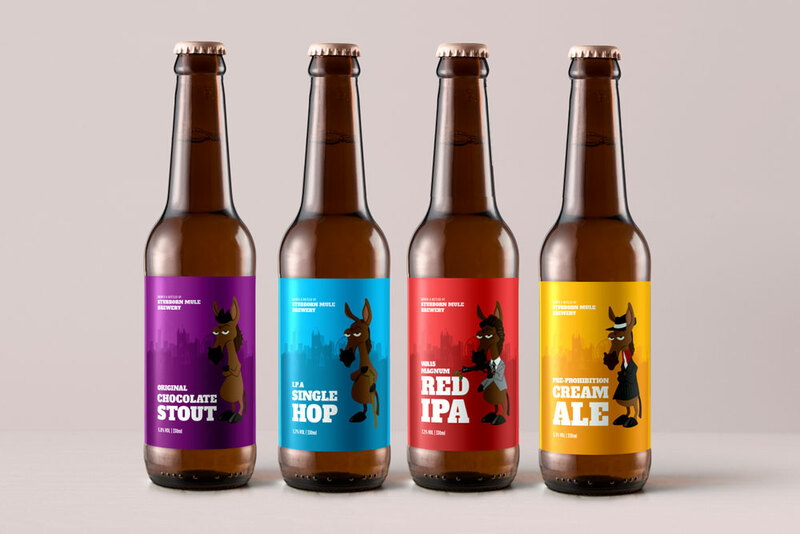 With this is mind, setting the beer label designs needed a nod to their origins – Manchester, so a subtle background of the Manchester skyline was weaved in enabling the Stubborn Mules to stand in their natural environment. Should provide a bit of fun for our Liverpool supporting illustrator to get his teeth into.